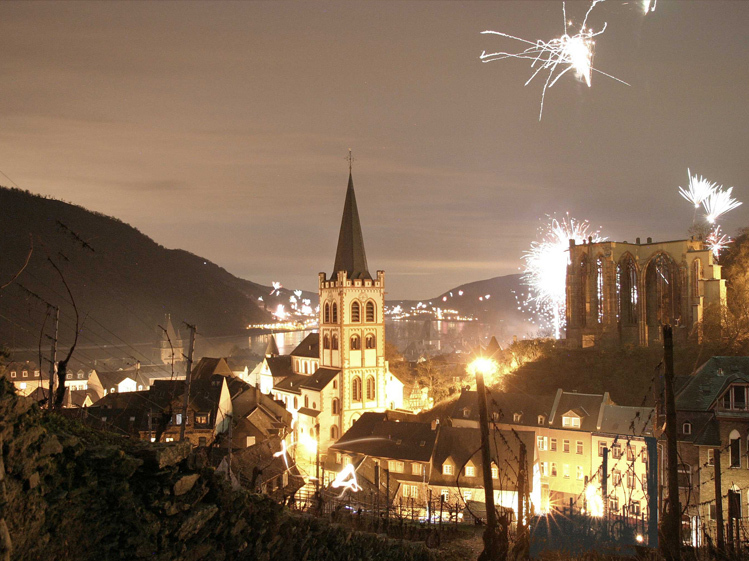 If your roots are in Bacharach on the Middle Rhine and you have a keen eye for this marvellous cultural landscape, then you welcome the opportunity to make a contribution to it all on a daily basis. 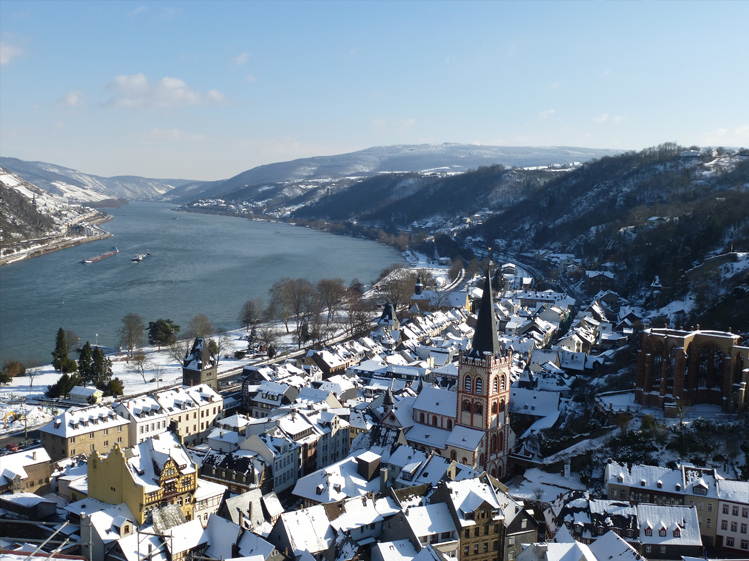 What is more, since UNESCO acknowledged this wonderful section of the Rhine Valley as part of the World Heritage in 2002, there has been a widespread sense of a new beginning. We have every reason to be proud of our of homeland and so we would also like to give you a few tips for a possible stay here. 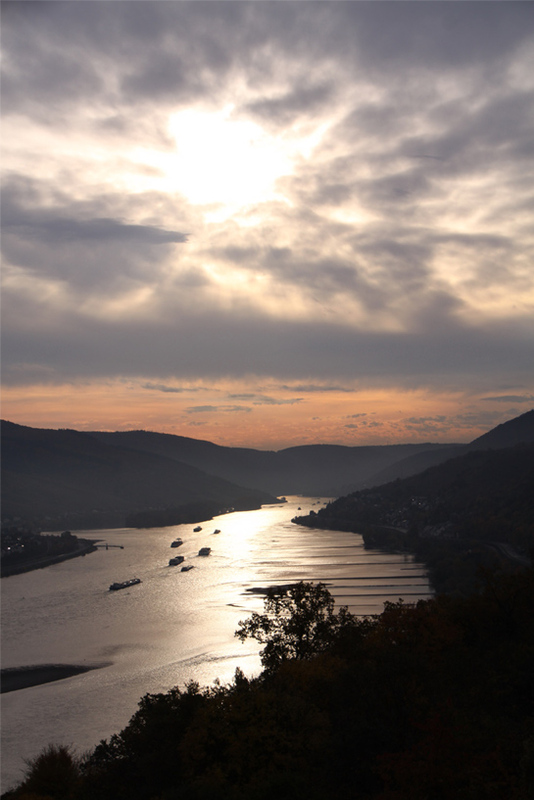 Why not combine a visit to our estate with an excursion along the Middle Rhine Valley? Here, we are not following some trend, but our own personal conviction. We have been cultivating our vines using organic methods exclusively since setting up our estate in 1982. We aim to demonstrate that, even today, original methods work well, and that use of herbicides and modern pesticides is not necessary. We are particularly dedicated to the cause of preserving steep-slope viticulture in a well-managed natural landscape. Organic viticulture is the basis for this, and for us is a matter of course. 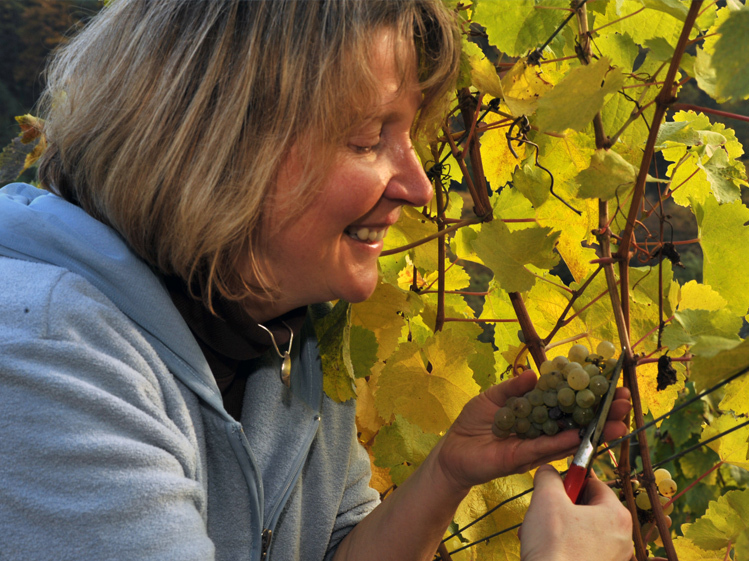 We are a member of the Federal Association of Organic Viticulture (ECOVIN) and are certified every year (Gesellschaft für Ressourcenschutz, Göttingen – DE 039 Ökokontrollstelle). 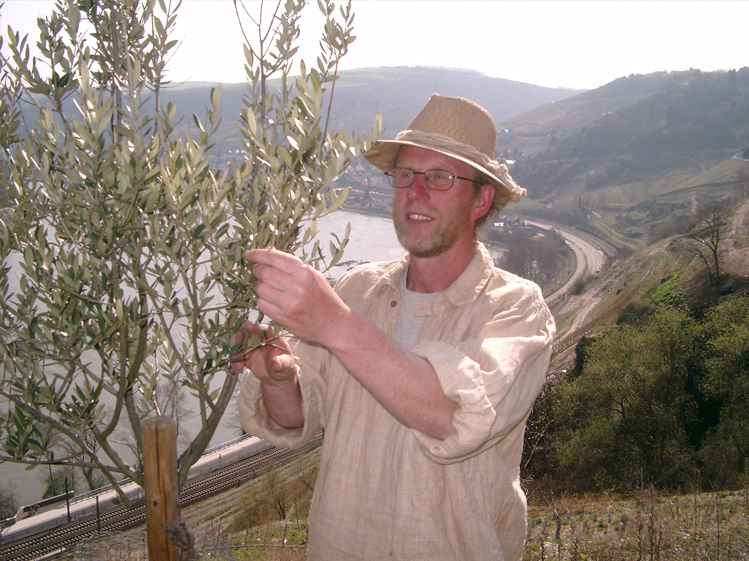 How do we differ from conventional vine-growers? We aim to achieve a balanced ecosystem in our vineyards, so we do not use chemical-synthetic substances so as to avoid burdening the environment as far as possible. We only use organic fertilisers in our vineyards, like humus or compost. For crop protection we use pure sulphur, small amounts of copper or, most recently, baking powder. To ensure that our vines are still resistant, we use plant fortifiers and cultivate green cover which actively maintains the soil life between the rows of vines. Hawkweed is to be found particularly often in our vineyards; it flowers yellow in the early summer. We remove undesirable weeds mechanically. We work in accordance with both German and EU regulations. For the 2012 vintage, a new EU regulation of the cellar technology for organic wines came into force. For example, this regulation slightly reduces the limit-values for the maximum amount of sulphur in wine and prohibits genetically modified yeasts. All other treatment substances in the cellar have to be organic in origin. As of 2012 therefore, you will also find the EU logo for organically produced products on our labels. 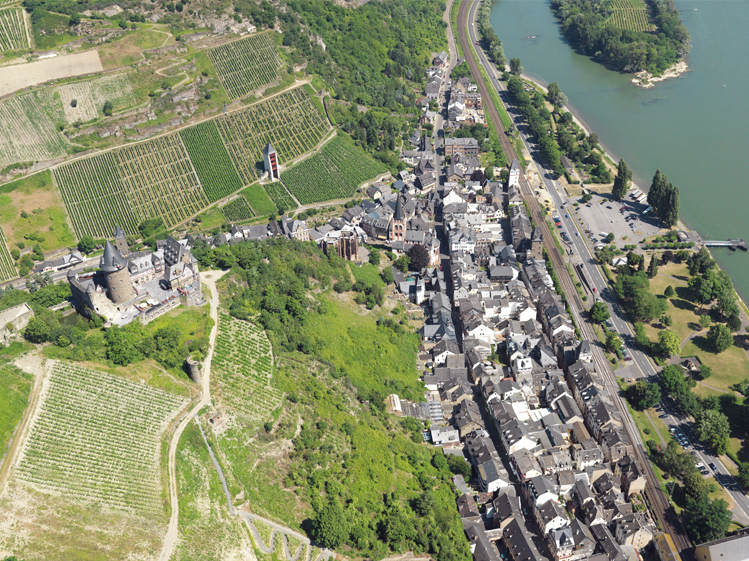 Every year we devote great energy and attention to our vines and grapes in order to be in a position to offer you wines that best reflect the authentic regional Riesling of the Middle Rhine slate. For this purpose we invest approx. 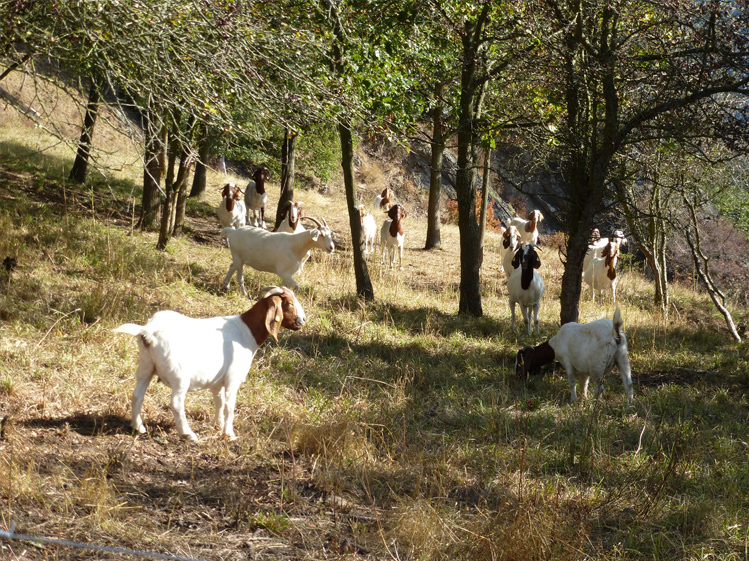 750 hours/hectare in steep-slope cultivation and approx. 250 hours/hectare in careful, selective grape picking, done exclusively by hand. Until 2005 we also used natural cork to seal our wine bottles. Unfortunately, every year natural cork produces up to 4% cork taint in the wines. This is the “normal” defect rate, which cork suppliers also claim is a quantity that is unavoidable and does not warrant a complaint! As a result you, and we, lose 500 to 600 litres of wine annually, despite using the supposedly best corks. It was this state of affairs that led us to check out alternatives to natural cork. We are no longer willing to sacrifice our meticulously and lovingly produced wine to an incalculable seal! So since the 2006 vintage, we have been offering our complete range of wines with screw caps. This has additional advantages. The seal with the integrated metal skirt, or wine capsule, is easy to open and close again, and it keeps our Rieslings fresh for longer than was possible until now. The seal gasket consists of a foodstuff-tested PE insert, whose gas permeability is effectively reduced by a layer of tin. As a result, the oxygen admission into the wines remains small and the maturing process during storage is slightly delayed. Up till now we have achieved the same effect by sealing the corks of the wines for our “private treasure chamber” with wax. We are fully convinced that this seal is the best thing that can currently happen to wine! So nowadays all our wines are sealed using this system.